Sheen is in. And for us more subtle types, a beaded accent pillow or two is a great way to add some shimmer. This one features silver tubular beads in a Greek key pattern on a natural linen background. 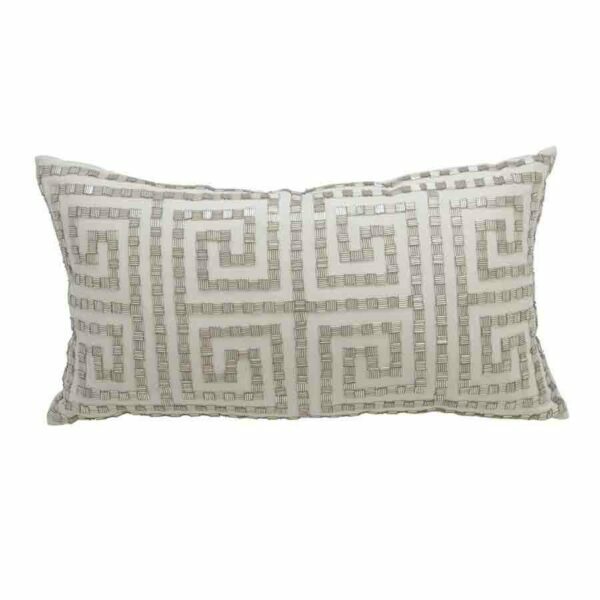 With its classic pattern and soft neutral color, the 24″w x14″d lumbar pillow works well with so many decorating styles and is easy to incorporate into an arrangement of toss pillows. The beaded pillow has a solid fabric back and a down insert to insure comfort.